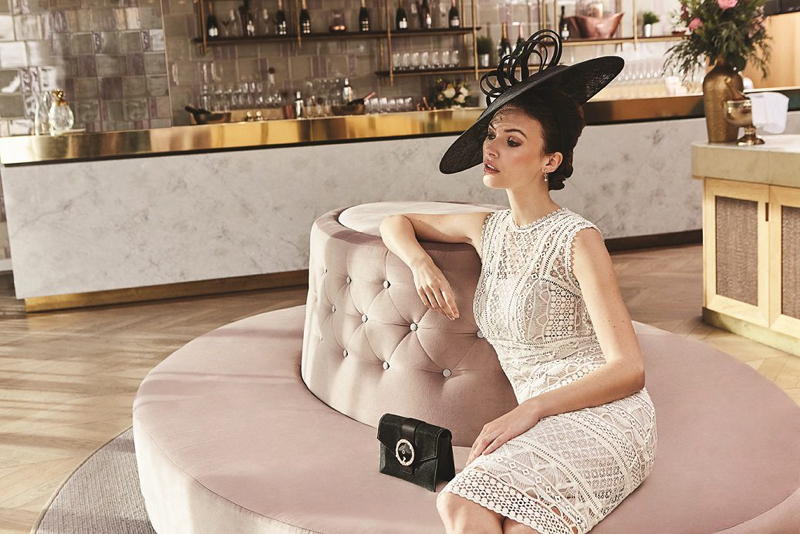 Karen Millen is known for its occasionwear and the company on Wednesday announced a new global relationship with Ascot Racecourse to launch a SS18 collection inspired by its flagship race meeting, Royal Ascot, in a deal brokered by IMG. It’s an interesting concept and highlights the importance of cross-industry deals in getting the attention of fashion consumers these days. It also emphasises the power of a brand such as Ascot to be able to move into wider lifestyle products. The new collection features 18 co-branded occasionwear pieces, including dresses, skirts, tops, pantsuits and jumpsuits. The pieces are also marked for the Royal Enclosure or the Queen Anne or Village Enclosures, in line with Royal Ascot’s dress code and style guide. Ascot’s commercial chief Juliet Slot said: “While racing is at the heart of Ascot, the fashion component is fundamental for us and our customers. It is part of the day that helps create the sense of occasion that our customers feel is so strongly associated with Royal Ascot. Copyright © 2018 FashionNetwork.com All rights reserved.